Almost 350 members of #TeamArlington came out to enjoy our 2nd Annual Casino Night! We hope everyone had an awesome time! A BIG thank you to event producer, Sara Franklin, DJ Pat Premier and the X-Magnetics for helping make this night special. We would also like to thank Sean Haley of CSI for donating all of our cool signage for the night. Additional thanks to our volunteers who helped us prep and during the event: moms Camille Scarborough, Wendy Green, Judy Stoker, Nicole Hurren and Holly Radus. As well as our #TeamArlington players who ran registration: Maggie Stoker, Maria Lewis and McKay Evans. Great job all and thank you for your help! This event will net approximately $15,000 for #TeamArlington and that makes an impact to our ability to support Financial Aid and our Real Madrid After School Program; thank you for your attendance and support. One last thank to all of our sponsors: Brad & Tandy Bondi, your generosity is amazing. 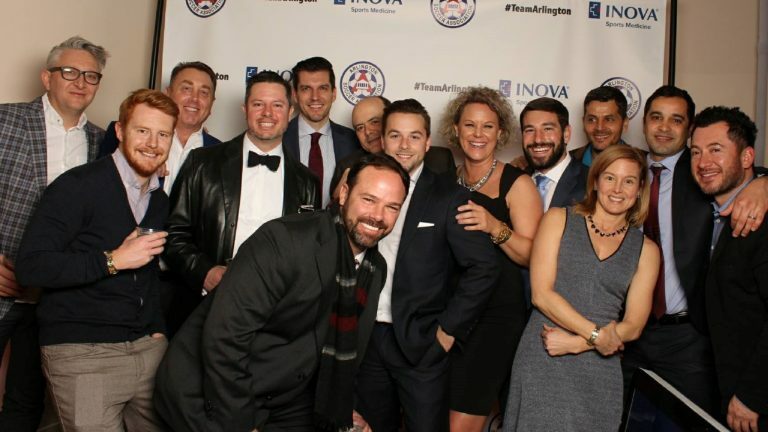 Clayton Dean, Joseph Hall & Seema Majeed, Allie & Mike Signorelli, Sean Haley and CSI, Jason Rigoli, The Enlightenment Capital, TJ & Mark Jensen – all of your amazing sponsorship and support is deeply appreciated.